Seagull Scientific’s Bartender has gained notoriety for providing the best label design software on the market. However, Bartender RFID includes the same label design features, along with encoding capabilities that offer the same ease of use. 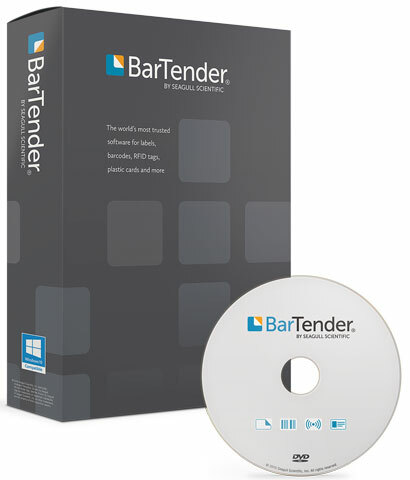 Bartender RFID Enterprise Automation and Automation’s rich feature sets include supporting most of the popular RFID printers, supporting most of the label types available (Gen2, EPC Class 1, ISO 15693, etc.) and allows data to be encoded in most of the common formats (DoD, SSCC, GIAI, etc.). Seagull Scientific continues to lead the way in innovation when it comes to barcode and RFID printing software. Consequently, BarcodesInc recommends Bartender RFID in our RFID printing systems in order to provide a low cost, quality solution. For more assistance finding the right RFID printing software for your needs, contact us at BarcodesInc.